48 years ago today, Vincent J. Glorioso, Jr. was sworn in and qualified as a Federal Military Judge in the United States Army under Article 26 of the Uniform Code of Military Justice. 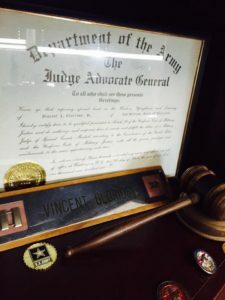 Vincent began his legal career at Fort Rucker, Alabama as a Captain in the United States Army, Judge Advocate General’s Corp (JAG). In the JAG Corp Vincent served briefly as a defense counsel and then as Chief Trial Counsel, then Assistant Staff Judge Advocate. Within two years, was selected as Fort Rucker’s first Military Judge, Special Court Martial. That appointment made him one of the youngest Federal Judges under Art. I of the U.S. Constitution in the country. Throughout his military service, Vincent also served as special liaison counsel to the United States Army Board of Aviation Accident and assistant trial counsel to the U.S. Department of Justice, Office of the Attorney General on civilian claims. 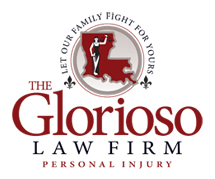 The Glorioso Law Firm is proud of you and your service to the United States of America!